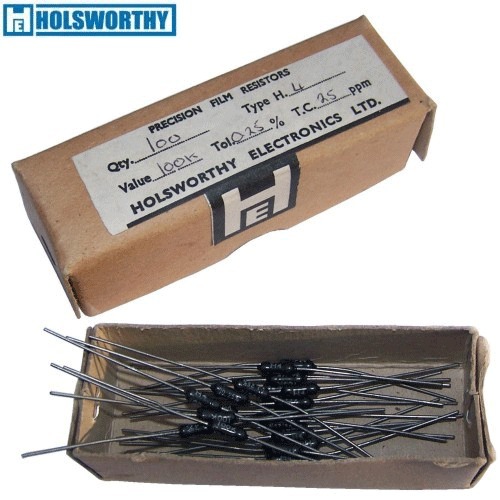 The Holco H2 1W and Holco H4 0.5W series of resistors that we stock are the original Meggitt Holsworthy, UK made resistors. They give a crisp, full sound, superb. We have limited stocks as the originals are no longer made. The manufacturing facility utilises closely controlled production processes including the sputter coating of metal alloy films to ceramic substrates, and laser spiralling to achieve close tolerance and high stability resistors. An epoxy coating is applied for environmental and mechanical protection.